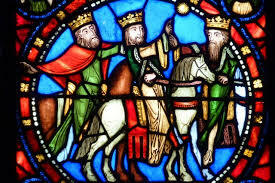 THE FEAST OF EPIPHANY reminds us once more of the privilege of the gift of faith. In the Bible, God revealed himself to Abraham, Moses and the Prophets of Israel setting them apart as the Chosen People of God. Their race was to host the coming of the Saviour of the world. But, what of the rest of the human race? God had not abandoned them. 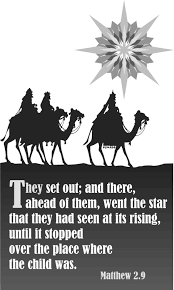 Certain ‘Wise Men’ had been aware of the writings in different traditions that a king would be born and that a star would announce the event. When the mysterious star appeared they followed its light to Bethlehem in Judea right to Jesus, Mary, and Joseph. THE WISE MEN WERE NOT JEWISH; they ‘discovered’ the Messiah by earnestly seeking the truth in ancient writings which included Old Testament prophecies, and in astronomy. Moreover, they were guided by the ‘still small voice’ of their consciences that insistently drew them in search of a saviour for our troubled human family. THE WORLD NEEDS THE SAVIOUR; it needs to recognize the truth Jesus brought – about God, about life, about how to live in harmony in this world, and about faith in His saving work. It is through Christian life – living according to Jesus’ teaching and united with Him through the Holy Spirit that the world today can see the love of God made visible. AND, IN A WORLD OF CONTRARY VOICES and contrary lights, it is the Church through the teaching of the Pope, the bishops, the Councils and the Synods, that the message of Jesus remains forever relevant in each passing era. She strives to ‘show Christ to the nations’ and to engage world cultures in a dialogue that searches for life’s answers. IN THE CHRISTIAN ERA (from Jesus until now), there have been many crises that have driven the Church to spell out gospel-inspired answers to the world’s problems. It is happening again this year in the face of the crises surrounding the ‘truth’ of marriage and family life. Following the preparatory Synod on the Family in Rome last October, in October 2015, the concluding Synod will feature a more definitive teaching on Christian Family life and Evangelization. ALL PARISHES HAVE BEEN PROVIDED with the ‘Relatio’ (reflections/outcomes) from 2014, along with questions, and the Australian bishops – and bishops worldwide – are encouraging priests and parishioners to give honest feedback to that document by answering the questions. A NUMBER OF COUPLES IN OUR PARISH are being invited to study the document and answer the questions. If you would like to participate, contact the parish office for copies of the document and questions. Remember in Prayer Cliff Broderick, Bill Tunstall, Vera Petteit, John Hickey, Mark Fitzgibbon, Noel Houlihan, Hunt family, Kevin Elliott, Jace Whyte, Noreen Rourke, Pat Kelly. “North to South” – Observations of landscape by NSW North Coast artists Claire Skehan (daughter of Marian) and Hil Van Dijk. 27 Dec 2014 – 25 Jan 2015 at Corowa Gallery 294. Free entry. Open 7 days 10am-4pm. 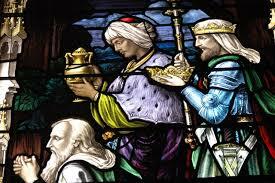 This entry was posted in Parish Bulletin and tagged Chosen People of God, EPIPHANY OF THE LORD, FEAST OF EPIPHANY. Bookmark the permalink.